Thousands of companies like AdRoll, Okta, Zillow, Adobe, and Cloudera use our system of action to achieve extraordinary results and see increases of 30% more meetings booked, 30% more opportunities, and 10-25% more revenue. Everyone loves a good comeback story. 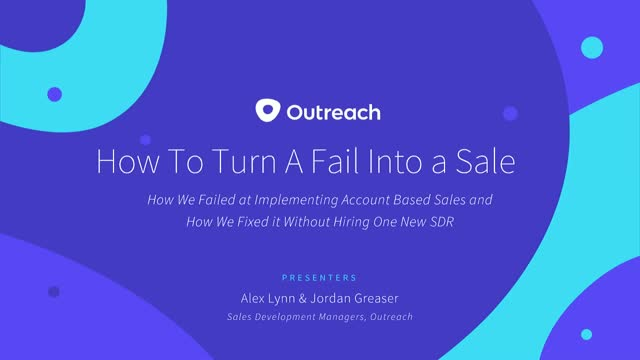 Learn how SDR Managers Alex and Jordan helped turn a fail into a sale by harnessing the power of account-based sales.